Hey! How would you like to be paid by one of the largest E-Commerce entities in the world? You can if you participate in the Amazon Affiliate Program. Stick with me for a bit, and I’ll explain just how the program works and show you how to get your own affiliate account set up. I’ll also show you where to go to learn to start making money the quickest way possible with Amazon. I would find it hard to believe that you haven’t heard of Amazon but just in case, let me tell you a little about them. Amazon is headquartered in Seattle, Washington. However, they have individual websites, fulfillment centers, software development centers and customer service centers positioned in many locations around the world. Amazon is the world’s largest online retailer. The site was originally known for it’s large selection of books, but has expanded in time to sell music, movies, furniture, electronics, etc. Thousands of merchants sell their products through Amazon.com and Amazon Marketplace. Authors can self-publish through them, businesses can advertise on site, and they offer commission opportunities through their affiliate program, which brings us back to this blog. Well, it is actually called the Amazon Associates Program and it was one of the first online affiliate programs beginning in 1996. Website owners or bloggers create links on their site that their customers can click on and take them to Amazon.com. When that customer then buys something at Amazon.com, the owner/blogger earns a referral fee (commission), which can be from 4% to 15%. You have choices of Site Stripe, Text and Product Links and Banners. The Site Stripe links to any page on Amazon. The Banner Link links to specific Amazon sections and Product Links link directly to the product as do the Text Links. Whichever you use, each of these will include your Associate tag and you will be paid for qualifying sales coming through these links. You have many standard banner sizes and shapes available which are easy to add and you can have special graphics for special sales like Mother’s Day, Father’s Day, etc. For each of your links, you can assign a tracking ID. With these, you can analyze the performance of your different websites. This can be done while accumulating earnings under a single Associates ID, which saves you the trouble of creating a different Associates ID for every website. To join the Amazon Associates Program, simply click here and it will take you to the sign up page. They will walk you through the process and it’s free. Like I mentioned before, to get started you’ll need a website. You want a solid foundation to bring in traffic to send to Amazon. You can always do research on your own and find books on affiliate marketing. In fact, Amazon has a paperback book of their own you can order simply called “Amazon Affiliate” by Shane Blanc. But why reinvent the wheel? There is a community of experienced affiliate marketers who have already been there and done that….. successfully….. that are willing to help you create your website, choose your niche, write your content, build your links and save you the mistakes that they all made. And they’ll do it for free. 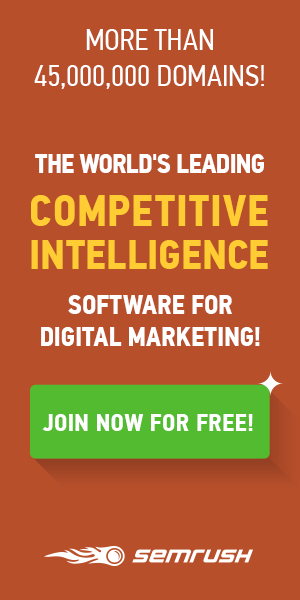 Plus, you’ll get two websites and hosting for free to get started! That’s where I created this website you are on right now. So to get a solid start on your journey to become an Amazon Affiliate marketer, click here to learn all there is to know about it. Please let me know of any experiences you’ve had with Amazon or if you have any questions, leave them in the comment section. Or, you can catch me on my profile at Wealthy Affiliate! Hopefully, I’ve helped you out a bit and pointed you in the right direction. Great explanation for an affiliate program with a company nearly everyone recognizes! I’ve discovered Amazon is a very easy online service to work with – easy purchases and returns. Thanks Tonja. The name Amazon is the key, here. 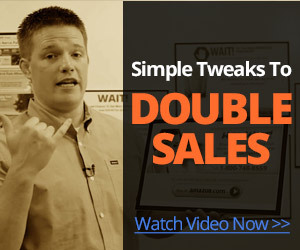 You may not make high commissions with Amazon, but, you’ll get more traffic and more sells which add up! Oh now I understand how people can take benefit from Amazon Affiliate Program. Thanks a lot for this post. Previous PostPrevious Why is a Website Important? Next PostNext What Is the Best Way to Work From Home?